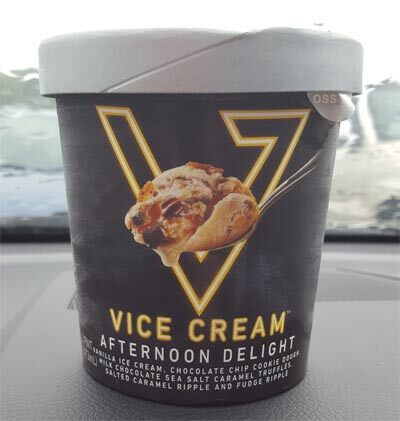 [New for 2016] Vice Cream was on sale for $3.99 a pint so I decided to buy my first pint of ice cream in two weeks. Yes, I actually went two weeks without buying a pint of ice cream. Yes it felt kind of weird. Now this is one of their 2016 flavors but hopefully they've worked out their manufacturing issues by now. 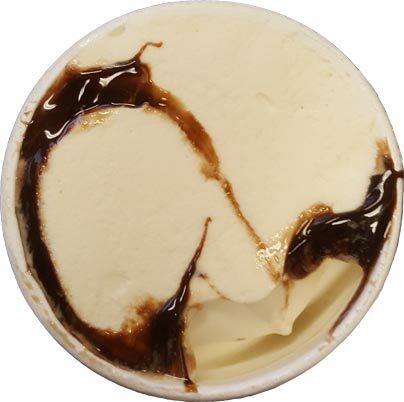 When a pint claims to have two swirls and two mix-ins yet opens like this, I get a little concerned. Yes the swirl looks nice, but I'm a little worried that I cant see any mix-ins. About a half inch down and I finally spy three cookie dough balls. They are suppose to have chocolate chips in them but I dont seem them. They aren't a huge gritty blast of brown sugar or anything, but instead offer up a nice soft bit of sweetness. Vanilla base is nice. It's not vanilla bean mind you, but it's more of classic vanilla flavoring that you would expect with the traditional hershey's like sauce I'm finding here. I'm going to be good and stop at about the one third mark. I might be tempted to continue if I saw more cookie dough bits, but I think I am ok for now. On Second Scoop: So I finished the other 60-65% of this pint after lunch today and while it's not bad, I have to admit that I am kind of frustrated at this point. I've given vice cream four chances now and that's about two more than a company usually gets. I think my personal problem is that it tries to have this macho aggressive attitude to it's marketing but you need to bring the lightning and not just the thunder in today's market. That sounded pretty stupid right? Look, when one of your slogans is "unapologetic indulgence" then you better be pretty flippin indulgent. The caramel swirl didn't even show up in my pint and I think I got one cookie dough bite today (shown in the last photo). That is unacceptable if you want to be the bad boy in the freezer aisle. They've got a decent ice cream base, now put it to work. I walked by a place like that on the OC boardwalk but didn't get to stop, I should have. 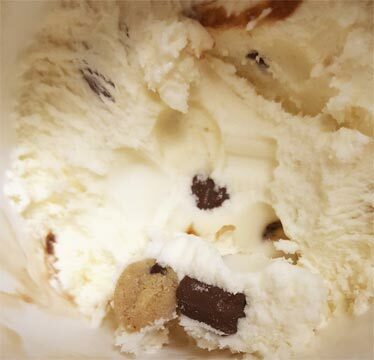 Had a pint of HD cookie dough ice cream and there was cookie dough in every bite. That's how this ice cream should be. Is it just Me, or does that look like a chicken drumstick in the graphic? Wish I saw this review before buying. 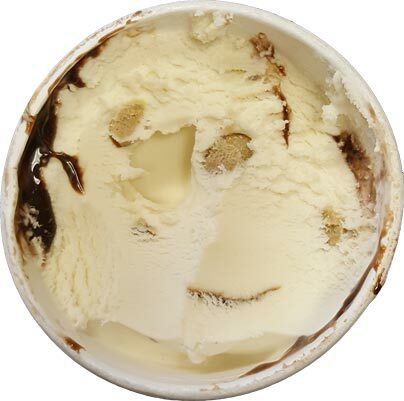 This pint was the worst ice cream I've had in years!